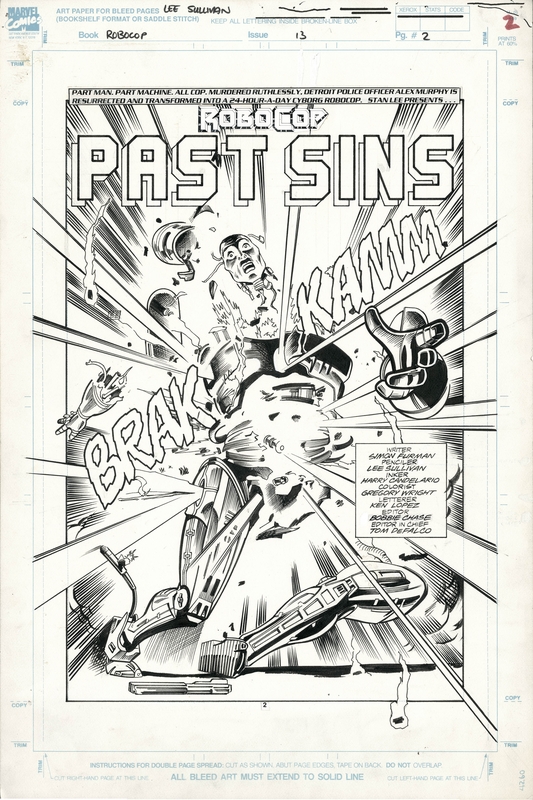 Splash page from ROBOCOP #13, Marvel Comics, "Past Sins". 30 x 45cm. original art.